A stunning Yellow Cake that’s perfect for your next party or celebration. Two layers of soft, fluffy vanilla cake, covered in homemade Nutella buttercream and coloured sprinkles! 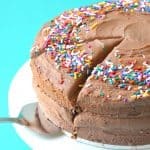 Are you ready to make a delicious two layer yellow cake completely from scratch? 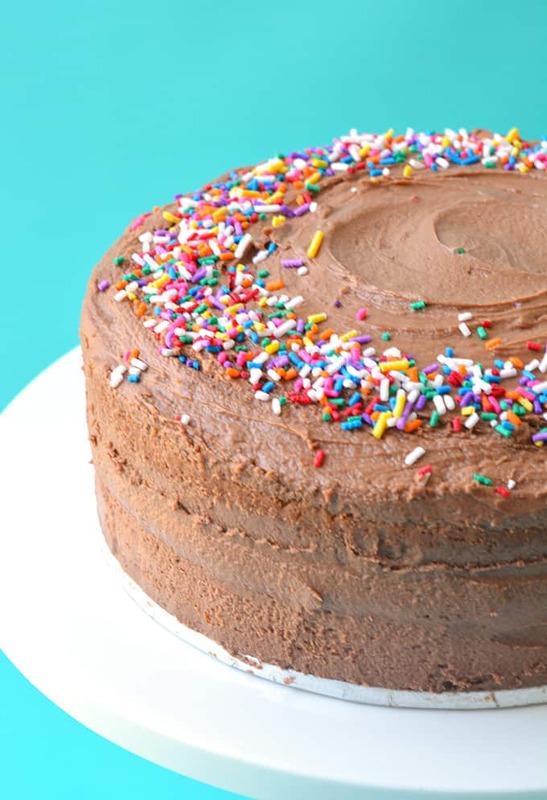 One that’s super soft and fluffy and covered in Nutella buttercream and sprinkles? Ever since I made my Funfetti Vanilla Layer Cake, I’ve been obsessed with making vanilla cake from scratch. There’s just something about that buttery texture and soft vanilla flavour that makes me weak at the knees. If you’ve only ever made a boxed vanilla cake, why try making one from scratch? Trust me on this – you’ll never go back. The soft texture and rich flavour just doesn’t compare. When I think classic yellow cake, I think chocolate frosting. 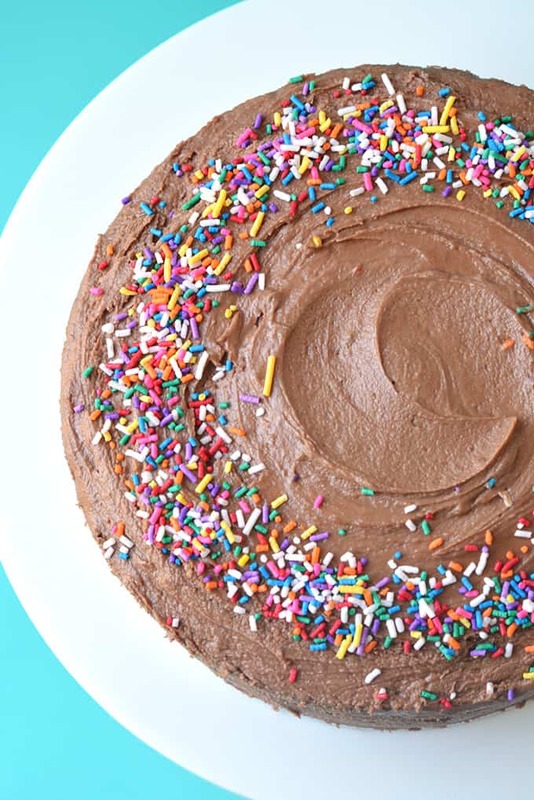 But why have chocolate frosting, when you can have NUTELLA frosting?! That’s right, this cake is covered in a creamy buttercream boasting a whole CUP of Nutella. We love our Nutella desserts around here, and this cake is no exception. 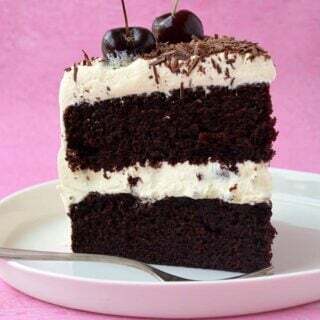 Even though I love love love Chocolate Cake, there is something special about vanilla cake. Every baker needs a classic yellow cake recipe up their sleeve, and this is mine. It’s a very simple cake recipe, using all the classic ingredients – butter, sugar, vanilla, eggs and flour. My secret? A touch of greek yogurt that guarantees a soft, melt-in-you-mouth texture. Grease your cake pans with butter and line with baking paper to ensure they don’t stick. Make sure all the ingredients that are required to be at room temperature are actually at room temperature. Carefully measure out all your ingredients. I recommend weighing out your ingredients in grams, using a kitchen scale. A vanilla cake has to be perfectly balanced and adding too much or too little flour or butter can alter the taste and texture. Try not too over bake your cakes, cook until golden on top and skewer inserted in the middle comes out clean. Leave to cool for a few minutes in the pan before removing and leaving on a wire cake rack to cool completely. If you leave the cakes in the hot pans to cool, they may keep cooking and create a crust. When it’s time to frost your cake, make sure your cakes are completely cooled. If they are even slightly warm, the frosting will melt and ooze out of the cake. Grease and line two 8 inch round baking tins. Preheat the oven to 160 C (320 F). In a large mixing bowl, add butter, sugar and vanilla and beat with an electric mixer until smooth and creamy. Add eggs, one at a time, and beat after each addition. Sift flour and baking powder. Add milk and beat on a low speed until combined. Add Greek yoghurt and mix through. Divide the batter evenly between the two cake tins and bake in the oven for approximately 25-30 minutes or until golden on top. Carefully remove the cakes from the pans and set on a wire rack to cool completely. To make the frosting, place butter in a large mixing bowl and beat with an electric mixer on medium speed until pale and creamy. Add half the sugar and one tablespoon of milk and beat until combined. Add the remaining sugar and beat until smooth. Add Nutella and another tablespoon of milk. Beat until smooth and creamy. If frosting is too thick, add an extra tablespoon of milk. Generously frost the top of one cake layer. Add other cake layer on top. 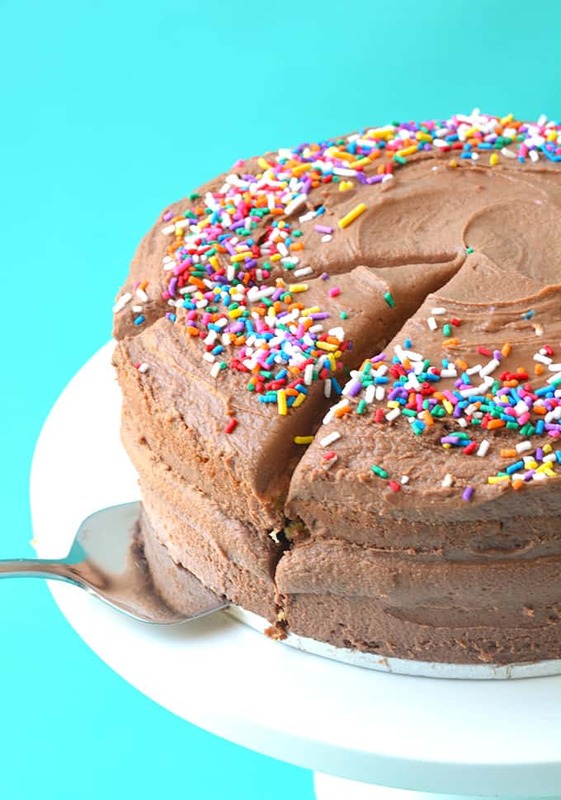 Frost top and sides of cake using a spatula. 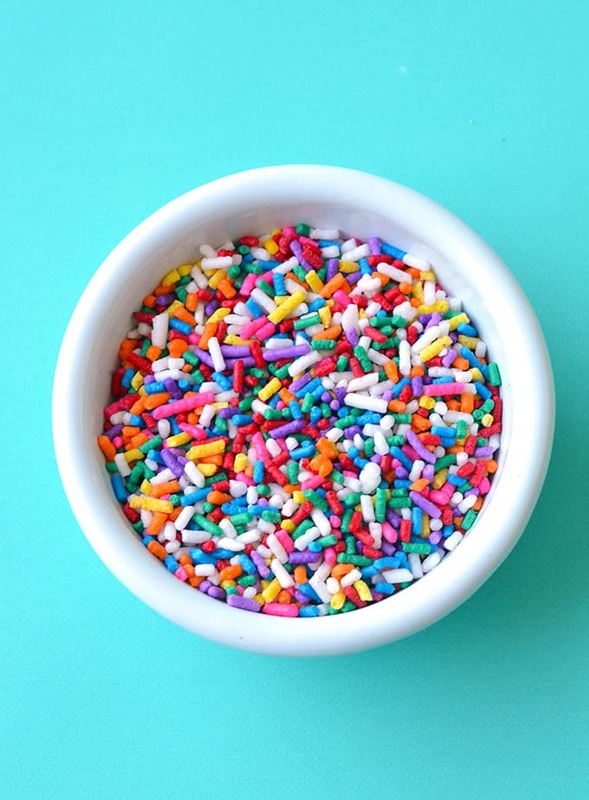 Add sprinkles. This recipe was first published on Sweetest Menu in January 2016. Just made this for a birthday party tonight. 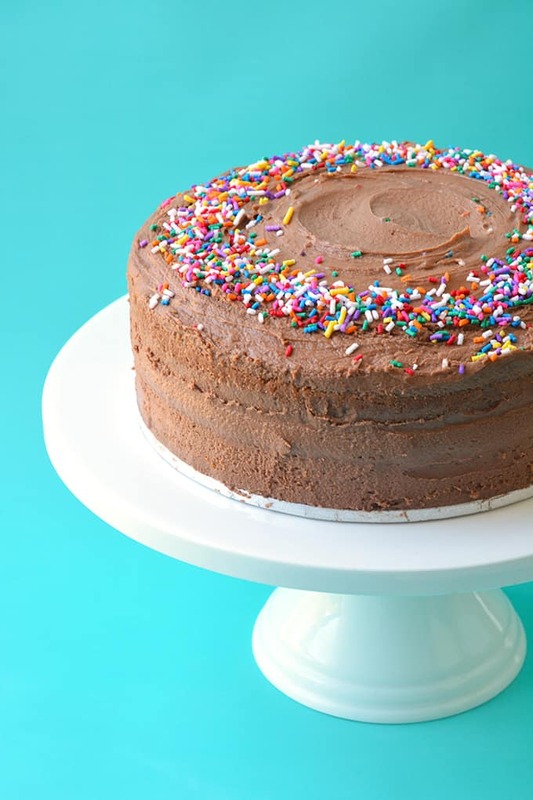 Should the cake be refrigerated until ready to serve or can it be kept at room temperature? This recipe looks amazing. Surely I will try. I want to ask can we use two 8″square pans. Secondly do we have to bake both cakes at a time?? Hi Zukhraf, square baking tins should be fine instead of round ones. And you can bake the cakes one at a time if there is not enough room in your oven. Just bake one after another, so the cake batter isn’t sitting out too long. Hope that helps! I used this recipe for the frosting. It is AMAZING!!! Very delicious. I left put the sprinkles but followed the rest of the frosting recipe exactly. Thank you so much for posting this. How can I make use of powdered sour cream since that is what I can lay my hands in Nigeria. Please reply, thank you. Hi Mariam, thanks for your question. Unfortunately, I’ve never used powdered sour cream before so I can’t be sure of what the result would be when baked. If you want to make this recipe and can’t get hold of Greek yogurt or sour cream, I suggest simply adding an extra 2 tablespoons of milk. Enjoy! I love yellow cake! 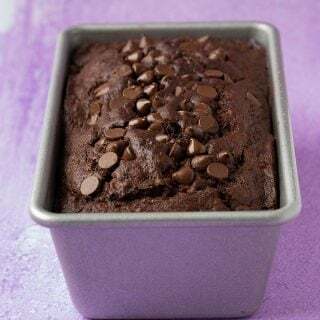 This one looks so delicious and moist and I love that nutella frosting – so good! This was the first time I’ve made Nutella frosting and it was so good! I’m definitely a yellow cake fan too! AHHHH, JESSSSS! 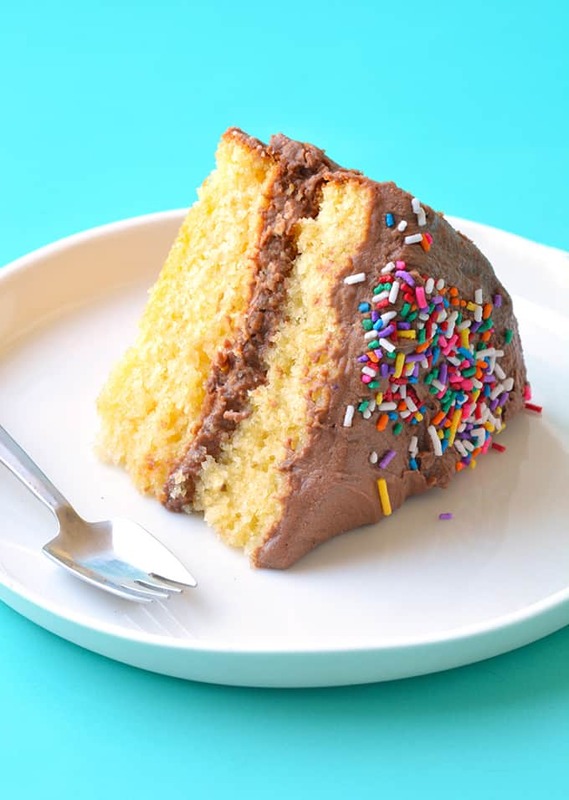 Yellow cake with chocolate frosting is one of my top 3 favorite desserts of ALL TIME. This is making my mouth water like crazy!! I love your version with Nutella frosting– how delightful!! Aww thanks Lynn! Yellow cake is the best! Anything with Nutella is awesome! 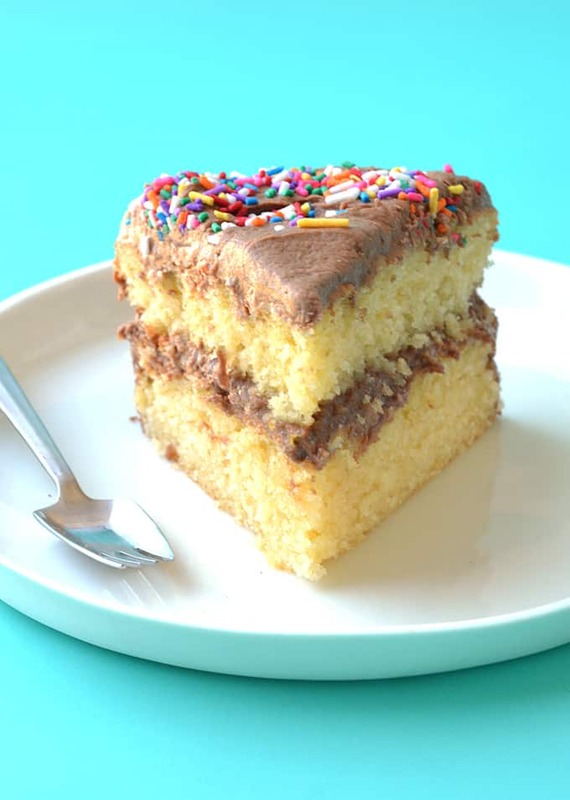 Nutella adds so much excitement to the classic yellow cake, looks delicious! Enjoy your beach vacation! So jealous you are heading to the beach. But OMG nutella frosting is the best thing ever. I wish I could try this cake right now! First of all, let me express how insanely jealous i am of your beach getaway. Second, this cake looks bonkers awesome, especially with that nutella frosting. Yummy! I could eat such frosting alone! I love that you took a basic/classic dessert yet made it look so unbelievably irresistible! Would you believe that I’ve never made a yellow cake from scratch? 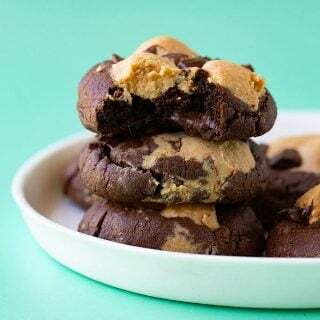 This one is going on my to-bake list, for sure! Hope you´re having fun in the sunshine! My friends & family are posting tons of photos on Facebook of them having fun in the sun too, and it feels so weird to me that while we are wearing our boots, scarfs and jackets here in the northern hemisphere they are in shorts and tank tops 🙂 This yellow cake looks awesome!! That cake looks so moist and delicious Jess. And that Nutella frosting! YUM! Anything Nutella = the BEST!!! Another fab cake lovely! Hope you have the best time away, Jess! A well-deserved break, for sure 🙂 While we wait for you to come back, we’ll all just be staring at this awesome cake! I love the way you’ve made the icing swirly rather than smooth all over. Such a nice effect!